2.3.1.5 Vitejte do Scrabalova domu! The Czech and Slovak Heritage Association (CSHA) was established in 1986 in Baltimore, Maryland. Since then the association has grown into a national organization with ties all over the United States. Although incorporated in Baltimore, the group welcomes members from all over the country. Interested in the Czech Republic, Slovakia, their heritage, culture and languages? We'd love to have you as a member of the association. Please join us. A CSHA Winter meeting: A brief business meeting will be followed by a film and home-cooked Czech food. Call 410-662-6094 or email usupik@verizon.net for more information. or Hot Dogs, Desserts & Beverages. 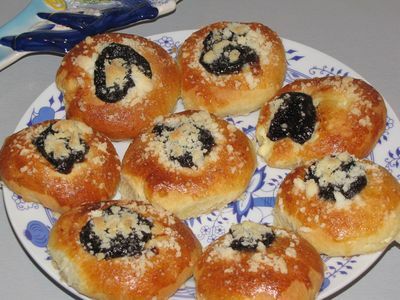 Peruse the Bake Table as well as the Ethnic and Religious Articles. They are looking to expand their repertory as well as their size and invite newcomers, with or without experience, to join. It's a great way to learn! For experienced choristers, it's a splendid opportunity to improve skills. Read more about their activities. Sat-Sun Aug 2 - 3 in Wilber, NE. Read about The Current Queen. 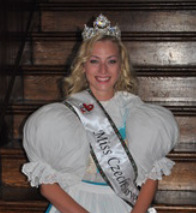 Miss Morgan McMichen representing Missouri is the 2014-2015 Miss USA Czech Slovak Queen. 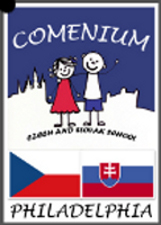 Comenium is a non-profit organization dedicated to raising new generation of Czech and Slovak language speakers in the US — greater Philadelphia region. Our mission is to serve the community via offering quality language and cultural education to the children of Czech and Slovak descent. The program of the Czech and Slovak school in Philadelphia is based on a comprehensive approach to learning modern Czech and Slovak language with a curriculum designed for school-aged children. The program incorporates the National Curriculum Standards for Elementary school to effectively educate about the critical aspects of language acquisition, including grammar, reading comprehension, writing skills and oral communication. Visit their HOME page HERE. Tanja is a native born Czech. She is fluent in Czech and English. The CzMate Diary is Tanja's Blog. It contains short articles about the Czech and Slovak Republics and the Czech-American Community. The snippets are written in both Czech and English. Visit CzechMate Diary. She is a Czech Mom wanting a bilingual daughter — not unlike a student wanting to become bilingual. Tanja's blog offers opportunities to both read and to post Czech or English responses to a growing number of subjects. Three 4-week Workshops will be held during the summer 2015 at Prague Film School designed to provide intensive filmmaking experience. Both beginners and advanced flimmakers are welcome. The workshops inculcate specfic skills and allow all participating students to write, direct, shoot and edit their own film in Prague. Dvorana The 2015 program offers a Tour of the Czech Republic in Prague and Pilsen. that includes Czech architecture, history, people plus cuisine; and to enjoy a Vintage damce week and/or a week of Folk Dancing. Summer Czech language courses are available. Summer School Courses are designed for the general public. The course does not assume any previous knowledge of Czech. Courses at different levels (from beginner up to highly advanced) are offered. All the content on the internet pages of the Czech and Slovak Heritage Association is of informational nature and not legally binding. The CSHA is not responsible for the content of external internet sites.